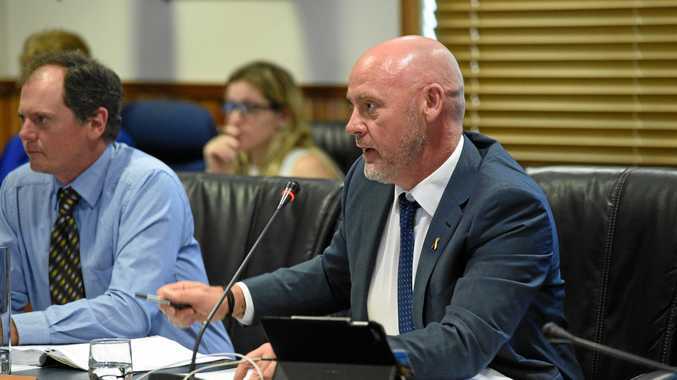 RATEPAYERS across Queensland could face skyrocketing council rates driven by State Government reforms to infrastructure charges, the state's local government body has warned. But Deputy Premier Jeff Seeney branded the warning, from Local Government Association of Queensland president Margaret de Wit, a grab for headlines. He said claims made by local councils that the changes would see skyrocketing rates around Queensland were emotive, alarmist and without credibility. But councils are worried the reforms will move the rising cost of infrastructure headworks from developers to councils, leaving ratepayers with higher bills as a result. Cr de Wit said the State Government discussion paper outlining changes was "alarming from a council perspective". She said if the proposals were taken to their logical conclusion, they would see "ratepayers subsidising property developers to a punishing degree". "I am certain that neither the government nor councils want the price of that outcome to be skyrocketing rates bills," Cr de Wit said. "Yet that is just the picture that emerges from any sober analysis of the impact of some of the more extreme measures being proposed." The proposals for potential changes to infrastructure charges for new developments went out for public consultation earlier this year. But the tense issue of how much the charges should be was not outlined in the proposed reform options, and would instead be controlled by the state government. "Instead, following conclusion of consultation on the discussion paper, the department will commence a detailed analysis of the capped charges," the paper reads. Mr Seeney said the government would seek to ensure "the right balance" would be found between developers and ratepayers. But he could not guarantee council rates would not rise as a result of the reforms, saying only the changes would form part of the review. He said the review process would be completed by January next year, with formal changes to follow.